ROCHESTER, N.Y. -- The Norfolk Tides beat the Rochester Red Wings 9-5 Sunday afternoon at Frontier Field, sweeping the five-game series. 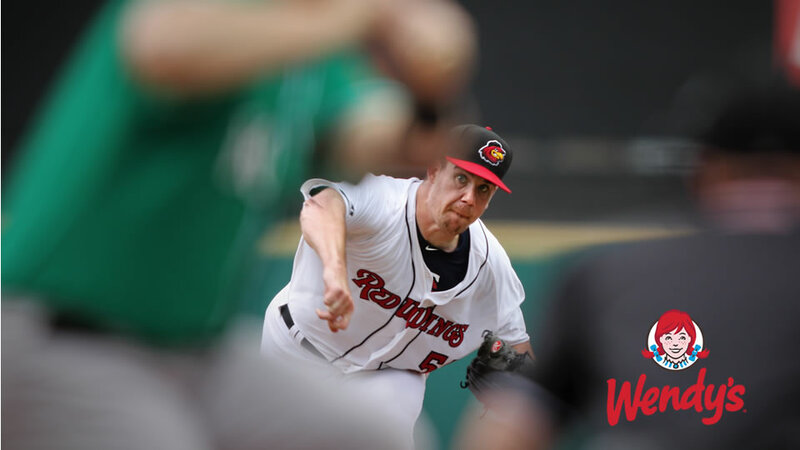 The Wings return home July 30 to open a series with Scranton/Wilkes-Barre (Yankees). Reliever Trevor May got the start for Rochester and worked just one inning, with scheduled starterZack Littell following May on the mound. In the inning, May allowed no runs on one hit while walking one and striking out one. He threw 22 pitches, 15 for strikes. Rochester took the lead in the fourth against Norfolk starting pitcher Jimmy Yacabonis after Nick Gordon was hit by a pitch to open the inning. After Gordon stole second base with ease, Kennys Vargas moved him to third following a groundout to second base. With one away, LaMonte Wadegave the Wings a 1-0 lead with his second single of the game that brought Gordon home to score. The Tides went ahead in the fifth after Littell loaded the bases to open the inning. Following a walk and a pair of singles, Breyvic Valera lifted a fly ball to right field that was dropped by Edgar Corcino which allowed for Norfolk to tie the game 1-1. DJ Stewart then gave the Tides the lead after a sacrifice fly brought Adrian Marin in to score, giving the Tides a 2-1 lead. A pair of singles from Juan Graterol and Alex Perez in the bottom of the fifth allowed for Rochester to threaten. With one away, former Red Wing Sean Gilmartin was asked to work out of the jam. Yacabonis went 4.1 innings allowing one run on four hits while walking one and striking out three. He threw 69 pitches, 46 for strikes. Gilmartin retired Gordon and Miguel Sano to end the inning. Norfolk increased their lead after tallying three more runs in the seventh. After Cedric Mullins tripled with one out, Valera singled him home to increase the lead to 3-1. Two batters later, Pedro Alvarez belted an opposite field home run to put the Tides ahead 5-1. That ended the day for Littell as he was replaced by Nick Anderson. Littell went 5.2 innings allowing five runs (four earned) on six hits while walking and striking out four. He threw 97 pitches, 66 strikes. Anderson surrendered a solo home run to Jaycob Brugman in the eighth inning, giving the Tides a 6-1 lead. Rochester plated a pair in the bottom half of the eighth after Jon Kemmer, who replaced Wade after being ejected in the sixth, doubled home Perez and Gordon to cut the Norfolk lead to 6-3. Anderson was replaced by Gabriel Moya to begin the ninth. Anderson went 1.1 innings allowing one run on one hit while fanning one. Luis Sardinas hit an opposite field double off Moya with the bases loaded in the top of the ninth, making the score 9-3. Alex Perez knocked in a run in the bottom of the ninth with an RBI double to make it a 9-4 game, and an RBI double from Gordon brought the Wings to within four runs at 9-5. The Tides out-hit the Red Wings 11-9.